A CEREC machine, allows us to complete a dental restoration in just one appointment. CEREC can be used to produce inlays, onlays crowns or bridges without taking moulded impressions. The CEREC – Chairside Economical Restoration of Esthetic Ceramics System, allows us to use 3D imaging to take digital impressions. We use these images to create a virtual restoration. You will have your new artificial tooth made and fitted during a single visit. This is what CEREC technology has made possible. CEREC is a revolutionary system that enables Dr. Wotton to design, fabricate and fit a new crown, veneer, onlay or inlay in a single visit. A tooth-coloured restoration means no more silver fillings discolouring smiles. The filling is natural-looking and compatible with tissue in the mouth, anti-abrasive and plaque-resistant. 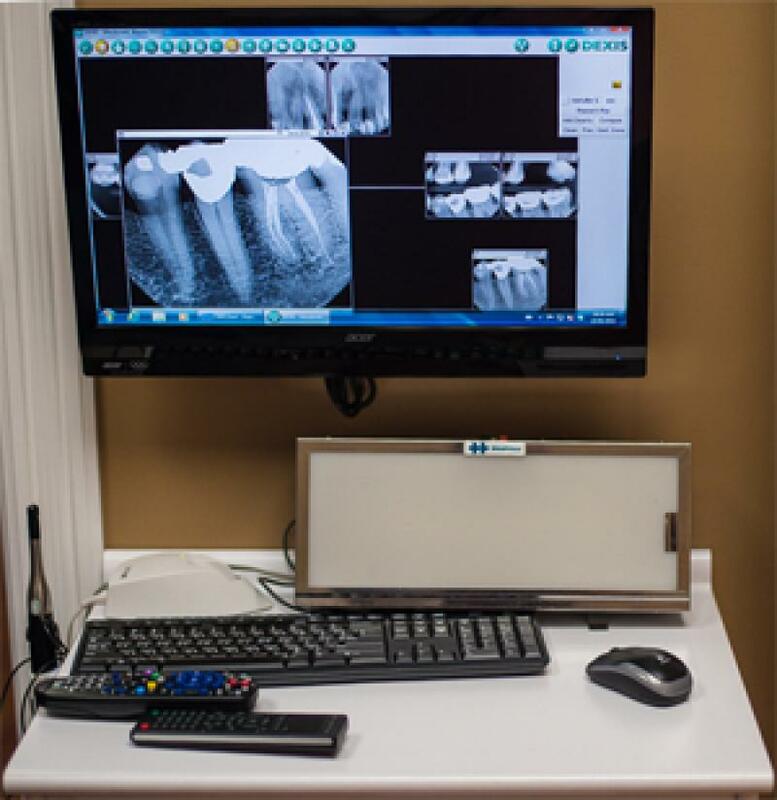 We use a special camera to take an accurate digital picture of your damaged tooth. The optical impression is then transferred and displayed on a colour computer screen, where we use CAD technology to design the restoration. Then CAM (Computer Aided Design / Computer Aided Manufacturing) technology takes over and creates the restoration you want, all automatically! Your new restoration is then bonded to the surface of your old tooth, and voila you have a restored tooth is about an hour.